All versions should automatically update to latest patch. Delete or rename both files in this folder. This also disables intro movie when starting new game, leaving that file untouched plays it every time game is started instead of starting new game. General settings with XInput controller. Mostly 2D game, but some 3D assets used. 3D elements are not anti-aliased. Frame rates under 60 FPS will actively slow down gameplay; see Run the game at screen refresh rate. 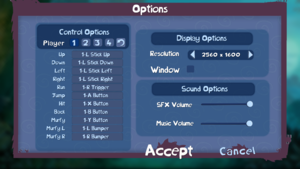 Button controls are used with Murphy instead of mouse or touchscreen controls. XInput and DirectInput. Control standards can't be mixed, DirectInput prioritized. Detects axes with not centered as being pressed. Remembers key bindings according to hardware ID. Prompts plugged controllers number and if controller is automatically set to certain player. Some interaction and popups are given visually instead of speech or text. With Steam version language is changed in game's properties in Steam library. With other versions language must be selected when installing the game. The game launches properly, can be heard starting. But the screen stays completely black, no visuals at all. Temporary fix: obviously a real fix needs to be found, but you can change your windows resolution to 1024x768 (or whatever's lowest) before you launch the game every time if desperate. Fix: Run game as administrator. Uplay performs a check and when you don't pass, the game stops after a few seconds. Recent patches should've fixed this issue but some users may still have issues. Click on menu icon and select "go offline"
If using Steam version keep Uplay open when starting the game and put Steam into offline mode as well. You can also make Uplay to always start in offline mode in Uplay settings. If the above does not help, you can try adding custom firewall rules for UPlay.exe and UPlayWebCore.exe in the Uplay installation folder. Deny both of those applications internet access when creating the rules. Uplay will try to log in and fail, asking what to do. Clicking "Go offline" should launch the game immediately. Fullscreen mode defaults to the monitor's minimum refresh rate, such as 24 Hz or 40 Hz, even if the screen refresh rate is set higher than that. 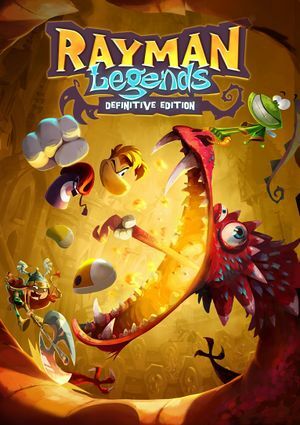 Open <path-to-game>\d3d9.ini or %USERPROFILE%\Documents\My Mods\SpecialK\Profiles\Rayman Legends.exe\SpecialK.ini depending on the injection method you used. ↑ 1.0 1.1 File/folder structure within this directory reflects the path(s) listed for Windows and/or Steam game data (use Wine regedit to access Windows registry paths). Games with Steam Cloud support may store data in ~/.steam/steam/userdata/<user-id>/242550/ in addition to or instead of this directory. The app ID (242550) may differ in some cases. Treat backslashes as forward slashes. See the glossary page for details. This page was last edited on 16 April 2019, at 18:32.